Life in the Trumpocene: Four Years of Pettiness and Lies? The Tweets posted by His Orangeness since the election have been consistently non-presidential. 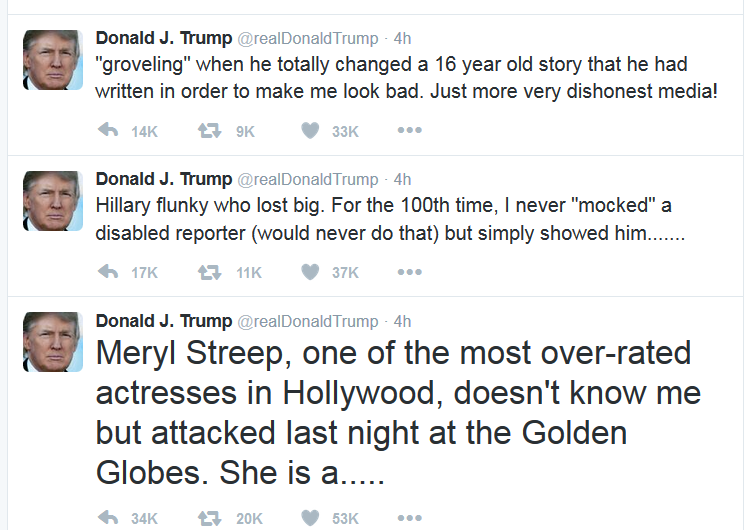 It seems that this is what we're going to be stuck with for the next four years: a steady stream of childish insults and outright lies. 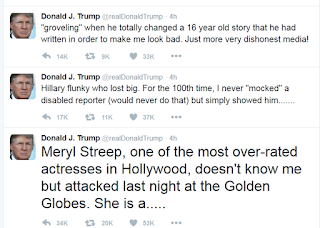 If he's going to just deny easily verifiable facts, he's going to have get a lot better at how he goes about it.